On Oct. 3 and 4, the National Grange joined the U.S. Catteleman's Association, Women Involved in Farm Economics and other rural group on stressed that increased access to high-speed broadband would spur job growth, attract new businesses and allow for the expansion of existing operations, and promote essential social benefits such as distance learning and remote healthcare services via telemedicine in rural communities throughout the country. "Lack of access to high-speed broadband Internet puts rural munities across the country at a serious disadvantage," said Congressman Shuler (D-NC). "Broadband is the great economic and social equalizer of our time, and expanding high-speed internet access to rural America will give more communities the tools they need to create jobs, expand educational opportunities, and improve public safety and health care. Broadband will give small businesses in rural areas a pathway to participation in the global economy and provides the framework for long-term economic growth and stability for years to come." Residents from regions all across the United States shared compelling stories about the impact of high-speed Internet while in Washington. For instance, Jon Chadwell, Executive Director of the Newport Economic Development Commission in Newport, Arkansas, spearheaded a project to expand high-speed Internet access to the local industrial park, home to three businesses that were losing clients due to a lack of access to broadband. As a result of Mr. Chadwell's work to connect the area to broadband Internet, the companies added a total of 325 local jobs in just six years. "Regardless of location or occupation, the need for reliable, high-speed Internet, both wired and wireless, is something that everyone can agree on. In rural America in particular, there are acres of opportunity for economic growth, but greater access to next-generation technologies is key to capitalizing on these opportunities," said Jess Peterson, Executive Vice President of the U.S. Cattlemen's Association and a lead spokesman for the advocacy day. "Right now, Americans need jobs, and we need to make sure that all Americans have the tools to create and sustain them. I believe we successfully delivered that message to policymakers this week." Today, some 26 million Americans in largely rural areas across the nation lack high-speed connections to the Internet and mobile broadband. The advocacy effort, a collaboration of members of the U.S. Cattlemen's Association, National Grange, Women Involved In Farm Economics (WIFE), local chambers of commerce, farmers, ranchers, small business owners, teachers, and others from across the country, with support from the Internet Innovation Alliance, allowed a diverse range of Americans to personally tell their unique stories about the transformative potential of high-speed broadband to Federal lawmakers. 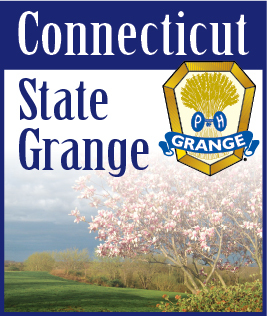 "The National Grange has been advocating for affordable access to broadband in rural America for a long time," National Grange President Ed Luttrell said. "Never before in our efforts have we seen so many diverse organizations, telecommunications companies, and advocacy groups at the same table with the same commitment and vision. 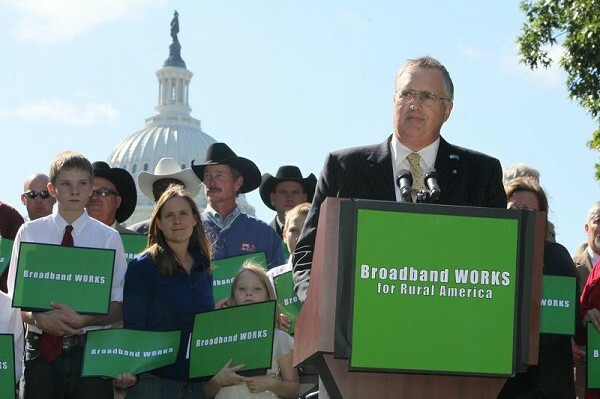 I believe the drumbeat of increased access to broadband in rural America has been heard in our Nation's capital this week."